At the start of 2014, let us give you 14 Great Things to do while you are visiting New York City…. Take in the Theater by seeing one of the many shows on Broadway this year. The long running Lion King, Jersey Boys, Phantom of the Opera, and Mamma Mia are musicals like no other. If you prefer the Sounds of Jazz or Dance Performances, ask our Guest Service Manager about tickets to Jazz at Lincoln Center or the New York City Ballet. 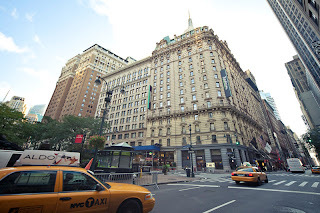 Art Gallery’s, World Class Museums, City Tours, and Fabulous Shopping at Macy’s Herald Square and the exclusive shops of Madison Avenue are all a short walk from the Hotel. Our staff tells us that Century 21, a multilevel department store Downtown, sparkles with more frocks to socks, and coats to totes, at great savings! The Radisson Martinique is at your service whenever your travels bring you to New York City! Best wishes for a wonderful 2014!. At the Radisson Martinique, we know what it’s like to travel in New York City with a baby; we’re parents too. Now your Manhattan getaway just became easier. The Radisson Martinique on Broadway is pleased to offer the Baby Explorer Package including many items parents on-the-go need for a fun and enjoyable vacation. To reserve Baby's Away® rentals please contact the hotel directly at rhi_many@radisson.com or by calling +1 (212) 736-3800. 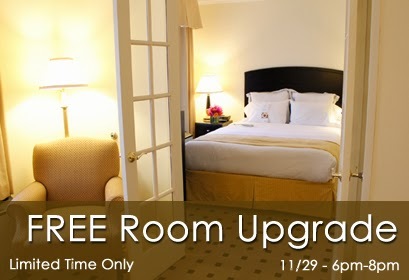 Upgrade your stay to a Family Suite and enjoy the luxury of a separated bedroom and living room, perfect for nap-time. Still in need of essential baby gear? Well, that just got easier, too. The Radisson Martinique has partnered with Baby’s Away®, a national baby rental supply company, to provide additional baby must-have items delivered to the hotel prior to your arrival. For your peace of mind, all baby gear is safety checked and thoroughly cleaned and sanitized before each use. The best quality strollers, car seats, activity play centers and more are available for daily or weekly rental for an additional fee. Please contact the hotel directly to arrange your rental. 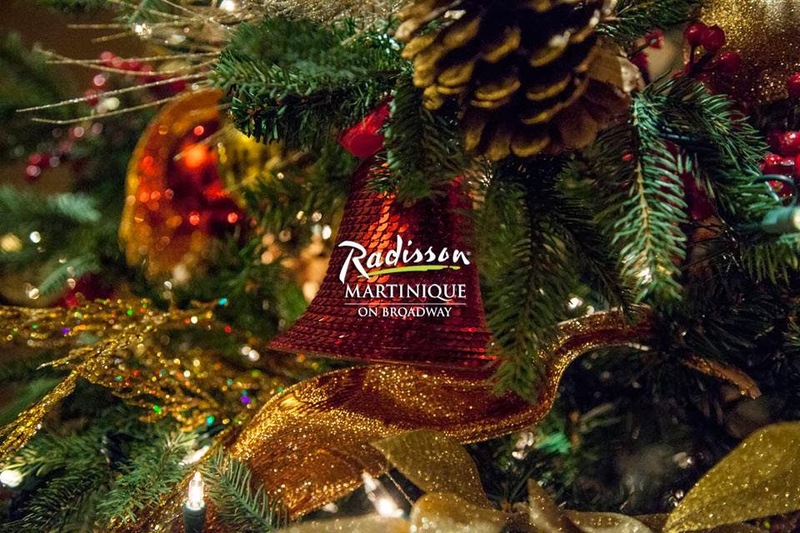 Tis the Season at the Radisson Martinique! Tis the Season….and New York City is All Dressed up for the Holidays! 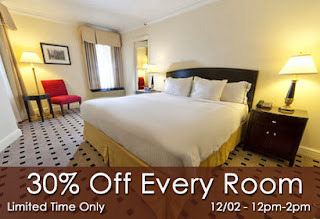 Take advantage of the magnificent sights and sounds of New York City this Holiday season. The annual Rockefeller Center Christmas Tree….The extravagant decorations in the windows of Macys, Saks Fifth Avenue, Lord and Taylor, Bloomindales and Bergdorf Goodman. The Metropolitan Museum of Art continues a longstanding holiday tradition with the presentation of its Christmas Tree and 18th Century Neapolitan Nativity Scene, a favorite of New Yorkers and visitors from around the world. 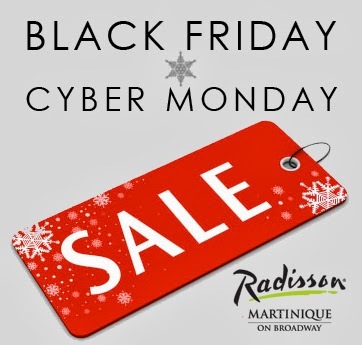 Make your Holiday reservation at the Radisson Martinique and the many amenities including the Martinique Café, Petit Poulet French Bistro, Guest Manager Desks, and our Business Center, all located on the Lobby Level; the Workout Room in the Lower Lobby, and Kum Gan Sang Korean Barbeque on the Mezzanine Level. We are thrilled to welcome you to our wonderful city and wish you all the best this Holiday Season! 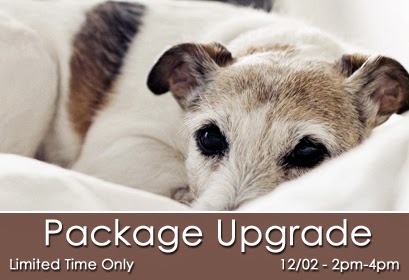 The Radisson Martinique Cyber Monday Limited Sale - From 2pm-4pm ONLY - Free Package Upgrades - Upgrade to a great packages for no additional charge. 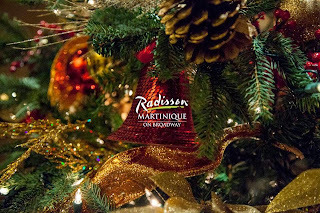 From the Radisson Martinique to your table. 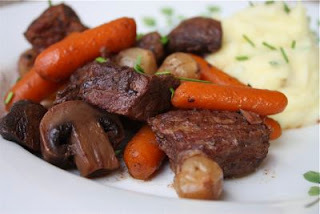 Our chef at Petit Poluet shares his recipe for Beef Bourguignon. Preheat oven to 450 degrees. Remove bacon rind and cut into lardons (sticks 1/4-inch thick and 1 1/2 inches long). Simmer rind and lardons for 10 minutes in 1 1/2 quarts water. Drain and dry. Dry beef in paper towels; it will not brown if it is damp. Heat fat in casserole until almost smoking. Add beef, a few pieces at a time, and sauté until nicely browned on all sides. Add it to the lardons. In the same fat, brown the sliced vegetables. Pour out the excess fat. Return the beef and bacon to the casserole and toss with 1/2 teaspoon salt and 1/4 teaspoon pepper. Then sprinkle on the flour and toss again to coat the beef lightly. Set casserole uncovered in middle position of preheated oven for 4 minutes. Toss the meat again and return to oven for 4 minutes (this browns the flour and coves the meat with a light crust). Remove casserole and turn oven down to 325 degrees. Stir in wine and 2 to 3 cups stock, just enough so that the meat is barely covered. Add the tomato paste, garlic, herbs and bacon rind. Bring to a simmer on top of the stove. Cover casserole and set in lower third of oven. 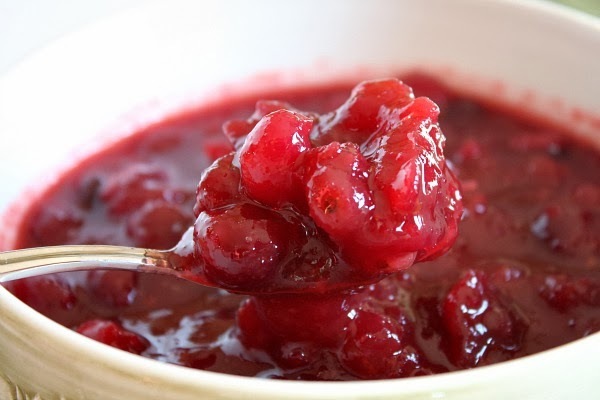 Regulate heat so that liquid simmers very slowly for 3 to 4 hours. The meat is done when a fork pierces it easily. While the beef is cooking, prepare the onions and mushrooms. Heat 1 1/2 tablespoons butter with one and one-half tablespoons of the oil until bubbling in a skillet. Add onions and sauté over moderate heat for about 10 minutes, rolling them so they will brown as evenly as possible. Be careful not to break their skins. You cannot expect them to brown uniformly. Add 1/2 cup of the stock, salt and pepper to taste and the herb bouquet. Cover and simmer slowly for 40 to 50 minutes until the onions are perfectly tender but hold their shape, and the liquid has evaporated. Remove herb bouquet and set onions aside. Wipe out skillet and heat remaining oil and butter over high heat. As soon as you see butter has begun to subside, indicating it is hot enough, add mushrooms. Toss and shake pan for 4 to 5 minutes. As soon as they have begun to brown lightly, remove from heat. When the meat is tender, pour the contents of the casserole into a sieve set over a saucepan. Wash out the casserole and return the beef and lardons to it. Distribute the cooked onions and mushrooms on top. Skim fat off sauce in saucepan. Simmer sauce for a minute or 2, skimming off additional fat as it rises. You should have about 2 1/2 cups of sauce thick enough to coat a spoon lightly. If too thin, boil it down rapidly. If too thick, mix in a few tablespoons stock. Taste carefully for seasoning. Pour sauce over meat and vegetables. Cover and simmer 2 to 3 minutes, basting the meat and vegetables with the sauce several times. Serve in casserole, or arrange stew on a platter surrounded with potatoes, noodles or rice, and decorated with parsley. While you are staying at the Radisson Martinique, we invite you to enjoy the amenities you will find at the Hotel – The Martinique Café, Petit Poulet French Bistro, the Business Center, all located on the Lobby Level; the Workout Room in the Lower Lobby, and Kum Gan Sang Korean Barbeque on the Mezzanine Level. 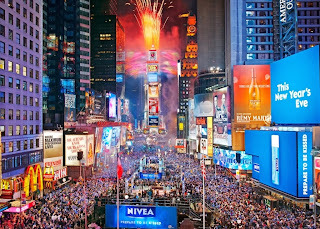 We are waiting to welcome you to New York City and to the Radisson Martinique! Visit us at http://www.themartinique.com to book your next stay. From the Radisson Martinique to your table. 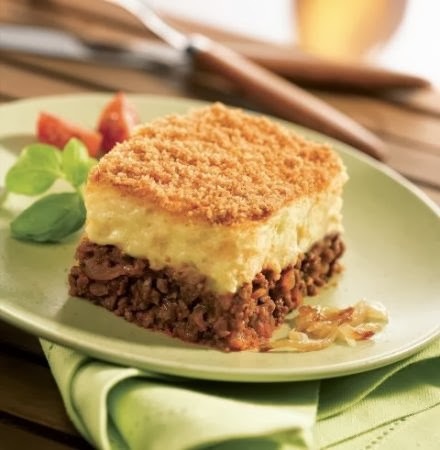 Our chef at Petit Poulet shares his recipe for Hache Parmentier (Cottage Pie). The dish is named after Antoine-Augustin Parmentier, a French pharmacist, nutritionist, and inventor who, in the late 18th century, was instrumental in the promotion of the potato as an edible crop. The word "hachis" means a dish in which the ingredients are chopped or minced. In general use, a simpler version is the French equivalent of cottage or shepherd's pie. 2 cups chopped cooked vegetables, like carrots, leeks, spinach, Swiss chard, etc. Preheat the oven with 350 degrees F.
Combine the meat, gravy, and vegetables in a large saute pan and cook over medium heat just until everything is heated through. Season with salt and pepper. Pour the heated mixture into a large glass pie plate or a round glass baking dish. Add the horseradish to the heated potatoes. Spread the mashed potatoes over the meat mixture, smoothing with a spatula and spreading to the edges of the pie dish. Sprinkle the top with the bread crumbs and the Gruyere Cheese. Dot the top with butter. Bake for 45 minutes on the top shelf of the oven. Raise the oven temperature to broil and broil just until the crumbs are browned, about 1 minute. Serve. Crème brûlée, also known as burnt cream, crema catalana, or Trinity cream is a dessert consisting of a rich custard base topped with a contrasting layer of hard caramel. It is normally served at room temperature. 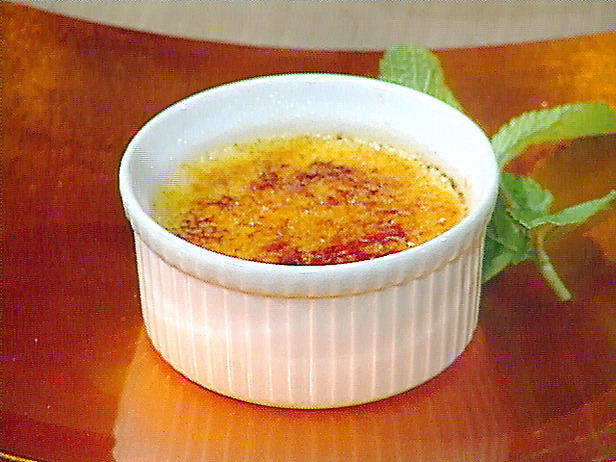 The earliest known reference of creme brulee as we know it today appears in Francois Massialot's 1691 cookbook, and the French name was used in the English translation of this book, but the 1731 edition of Massialot's Cuisinier roial et bourgeois changed the name of the same recipe from "crème brûlée" to "crème anglaise". In the early eighteenth century, the dessert was called "burnt cream" in English. In Britain, a version of crème brûlée (known locally as 'Trinity Cream' or 'Cambridge burnt cream') was introduced at Trinity College, Cambridge, in 1879 with the college arms "impressed on top of the cream with a branding iron". The story goes that the recipe was from an Aberdeenshire country house and was offered by an undergraduate to the college cook, who turned it down. However, when the student became a Fellow, he managed to convince the cook to recreate it. Place the cream, vanilla bean and its pulp into a medium saucepan set over medium-high heat and bring to a boil. Remove from the heat, cover and allow to sit for 15 minutes. Remove the vanilla bean and reserve for another use. In a medium bowl, whisk together 1/2 cup sugar and the egg yolks until well blended and it just starts to lighten in color. Add the cream a little at a time, stirring continually. Pour the liquid into 6 (7 to 8-ounce) ramekins. Place the ramekins into a large cake pan or roasting pan. Pour enough hot water into the pan to come halfway up the sides of the ramekins. Bake just until the creme brulee is set, but still trembling in the center, approximately 40 to 45 minutes. Remove the ramekins from the roasting pan and refrigerate for at least 2 hours and up to 3 days. Remove the creme brulee from the refrigerator for at least 30 minutes prior to browning the sugar on top. 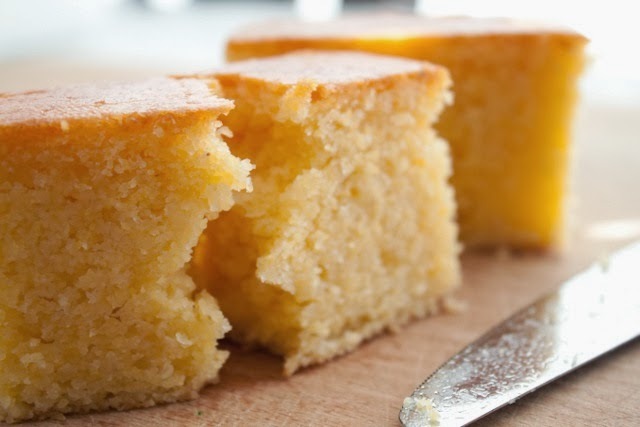 Divide the remaining 1/2 cup vanilla sugar equally among the 6 dishes and spread evenly on top. Using a torch, melt the sugar and form a crispy top. Allow the creme brulee to sit for at least 5 minutes before serving. Enter now for your chance to win a new 7" Kindle Fire HD Tablet courtesy of the Radisson Martinique! One lucky winner will be chosen via random drawing and announced on 09/30/2013. To enter Like Us on Facebook and fill out the form. 2. Season salmon fillets with some salt, grains of pepper. 4. 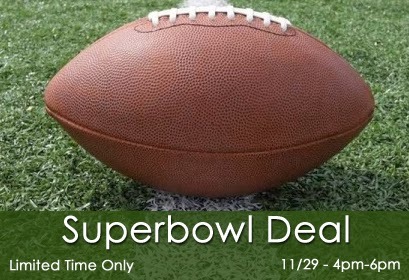 Prepare 12-inch piece of parchment paper cut into 12" rounds. 5. Spread about a half-tablespoon softened butter on each piece of parchment. 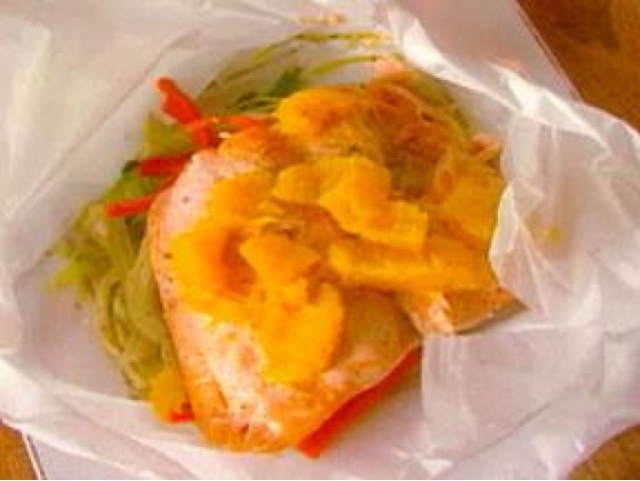 Place vegetable mixture on parchment paper; .Place salmon on top of vegetables. Sprinkle with salt, grains of pepper, then add wine and butter. 6. Fold over the top of the parchment like a pizza calzone, and fold and crimp along the edges to seal tightly. Place packages on a baking sheet and bake for 10 minutes. 7. When done, carefully tear open the top of the parchment/foil (I use kitchen shears) and sprinkle the salmon and veggies with a little fresh dill. 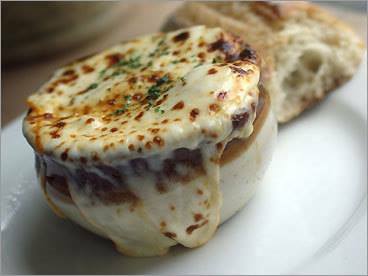 French onion soup (Soupe à l'oignon) is an onion soup based on beef broth or beef stock and chicken stock traditionally served with croutons and cheese as toppings. Although ancient in origin, this dish underwent a resurgence of popularity in the 1960s in the United States due to a greater interest in French cuisine. Onion soups have been popular at least as far back as Roman times. They were, throughout history, seen as food for poor people, as onions were plentiful and easy to grow. The modern version of this soup originates in France in the 18th century, made from beef broth, and caramelized onions. It is often finished by being placed under a grill in a ramekin traditionally with croutons and gruyère melted on top. The crouton on top is reminiscent of ancient soups. Petit Poulet, at the Radisson Martinique, has perfected this ancient dish and has made their fabulous recipe available to the public. Heat olive oil and sauté onions and garlic until transparent and caramelized, about twenty minutes. Next pour chicken and veal stocks into saucepot over onion and garlic mixture and add parsley, thyme and bay leaf wrapped in cheesecloth and cook slowly for two hours. Season soup with salt and pepper to taste and pour equally into four earthenware cups. Top off with a crouton and cover with Gruyere and Parmesan cheeses. Place bowls on a tray and broil to gratinee the cheese until well browned. From the Radisson Martinique to your table! Enjoy!! Several businesses in and around NYC are offering Fourth of July activities, special menus and more. Enjoy the festivities at one of the venues below. 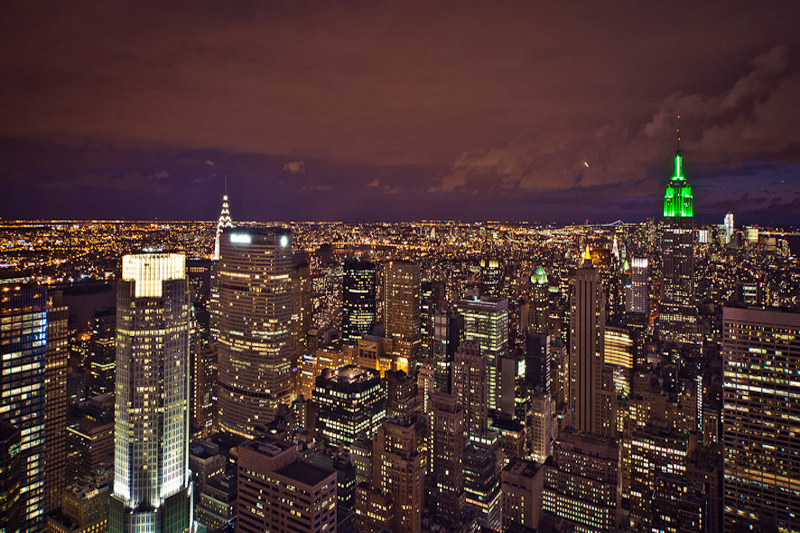 There’s no place like Manhattan for enjoying yourself this summer. 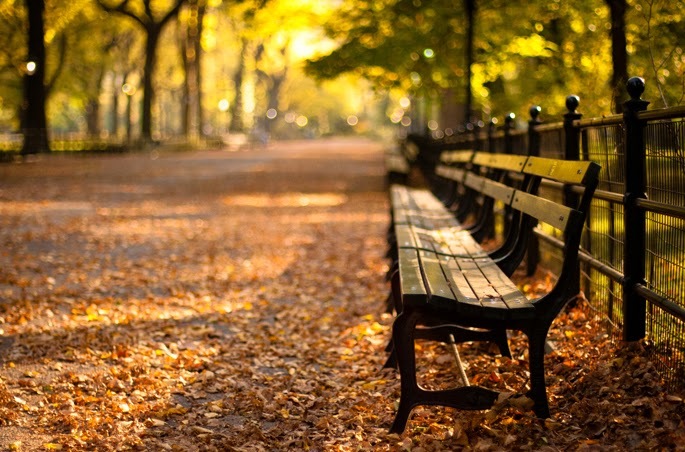 Find inspiration by visiting the chic shops in Greenwich Village for irresistible summer gear; dine alfresco at the best restaurants in SoHo; head to the world’s greatest theater; indulge in all of the summer festivals; order a box lunch from the Radisson Martinique’s restaurant for a picnic in one of our beautiful parks; and sightsee at the city’s iconic treasures on a warm afternoon – don’t miss a photo op with Patience and Fortitude, the Lions guarding the New York Public Library. 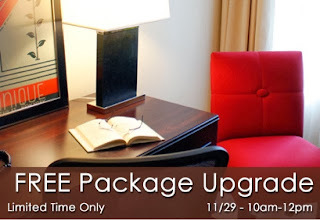 When you return, we invite you to enjoy the amenities at the Radisson Martinique, including the Martinique Café, Petit Poulet French Bistro, the Business Center, all located on the Lobby Level; the Workout Room in the Lower Lobby, and Kum Gan Sang Korean Barbeque on the Mezzanine Level. The Radisson Martinique team has worked hard to ensure that all of your needs will be met while you’re here - so plan to visit New York City this Summer and reserve a stay at the Radisson Martinique. Clean Air ~ You asked and we heard you! The Radisson Martinique is committed to providing our guests and associates with a smoke-free environment. 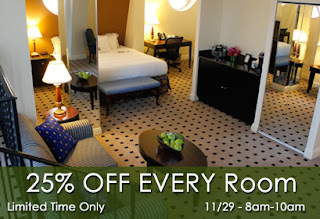 The only way to provide this experience is to prohibit smoking in guest rooms and all areas throughout the hotel. We do, however, provide designated smoking areas outside the building to accommodate the needs of guests who smoke. A clean air ~ experience is awaiting you at the Radisson Martinique. *As of June, 2013, for the benefit of everyone, smoking will not be permitted in our hotel. 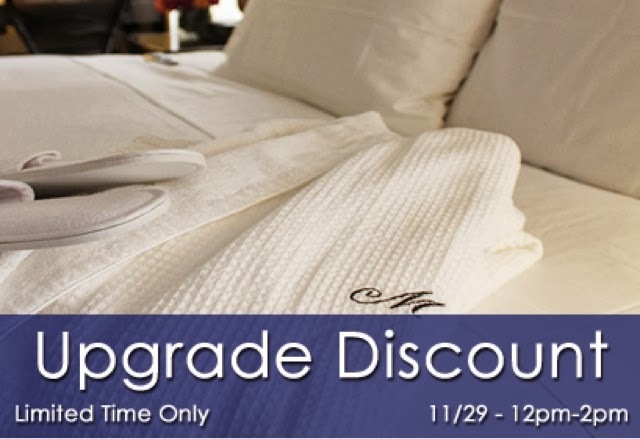 The Radisson Martinique and Macy's Flagship Store at Herald Square have teamed up to make your stay in New York City a dazzling experience. Our "Macy's Shop 'Til You Drop Package" includes overnight accommodations with Radisson's exclusive Sleep Number® bed, a full American breakfast for up to two people, shopping discount coupons for Macy's Flagship 34th St store (the World's Largest Department Store), a Macy's personal shopper* and a special gift from Macy's. 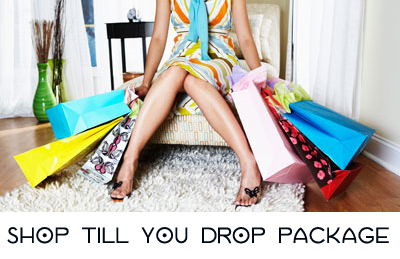 *For an appointment with Macy's personal shopper, please call +1 (212) 494-4181 a minimum of three days prior to arrival. Club Carlson’s Sm : Two Nights 10,000 Points. Members worldwide receive 10,000 bonus Gold Points® on any eligible stay of two or more nights beginning on, or after, May 13 and completed by July 21, 2013. Note: Members can earn points on multiple stays, but only need to register once during the promotional period; however, they must register before checkout of their first eligible stay for all stays to qualify. 2. 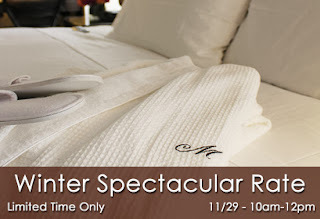 Complete a stay of two or more nights during the promotional period. Note: Both the check-in and checkout dates of the stay must take place within the promotional period. There is no maximum number of points that members can earn on stays and no maximum number of eligible stays during this promotion. The promotional period begins on May 13, 2013, and goes through July 21, 2013. This month New York City celebrates Springtime with a variety of street fairs and colorful food festivals, new exhibitions at the Met, an Art Fair on Randall’s Island, Rocking Bands at the Barclay Center (only 4 express stops on the Q Train and you are at the Center’s front doors), and fabulous New York City restaurants for a night on the town. 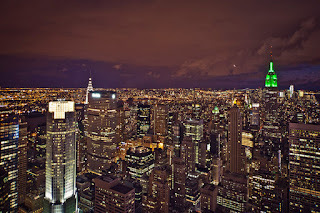 Whenever you’re planning to be in New York City, we hope you choose to stay at the Radisson Martinique, where you will have access to great dining and room service from the Martinique Café and Petit Poulet French Bistro. Also visit Kum Gan Sang Korean Barbeque on the Hotel’s Mezzanine Level, for an authentic Korean Barbeque. Enjoy complimentary wireless access in the Hotel’s Business Center, and have a great workout in our Fitness Room. The Hotel also offers a complimentary day pass to Bally’s Sports Club, just steps from the Hotel. End the day with a leisurely cocktail at the Café Martinique. On behalf of the entire team we hope to WELCOME you very soon as you plan to enjoy the sights and sounds of New York City this spring. Experience a little bit of Paris at Petit Poulet now open at the Radisson Martinique on Broadway in New York City. mosaic tile floors, and a classic tin ceiling in an ode to classic parisian bistros. French Onion Soup, Beef Tartar, Escargot, various tartine dishes, and rotisserie Cornish hen. Seating options include tables, booths, and bar seats. Additionally, for a few lucky diners, special bar style seating is offered in front of the open kitchen, giving them a unique view of the talented chefs creating meals from scratch. Wine Bar : Petit Poulet offers an expansive wine list that almost exclusively features French wine. The wine list provides guests an extensive selection of full bottles, half bottles and wines by the glass, allowing patrons to enjoy a bottle with their meal or a glass with hors d’oeuvres at the bar. The goal at Petit Poulet is to make sure that your event, whether it is Corporate or Private, run smoothly and without a hitch. 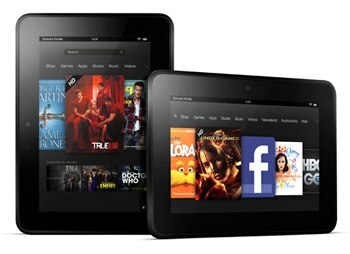 Please browse through our website and see what we have to offer. Event Services: Custom Designed Menus, Waitstaff, Bartenders, Theme Stations (Raw Bar Station, Pasta Station, Curving Meat or Fish Stations, Omelette Station and more). China, Glassware, Barware, Linens, Floral Arrangements, Decorations Bands, DJ & Music, Jazz, Piano and more.The restaurant is available for parties large and small. We have two semi private dining rooms (seats 50), and main dining room (seats 75). 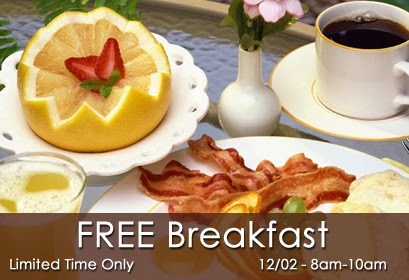 Ask the Catering Manager for details. Custom Designed Menus, Waitstaff, Bartenders, Theme Stations (Raw Bar Station, Pasta Station, Curving Meat or Fish Stations, Omelette Station and more). China, Glassware, Barware, Linens, Floral Arrangements, Decorations Bands, DJ & Music, Jazz, Piano and more.The restaurant is available for parties large and small. We have two semi private dining rooms (seats 50), and main dining room (seats 75).